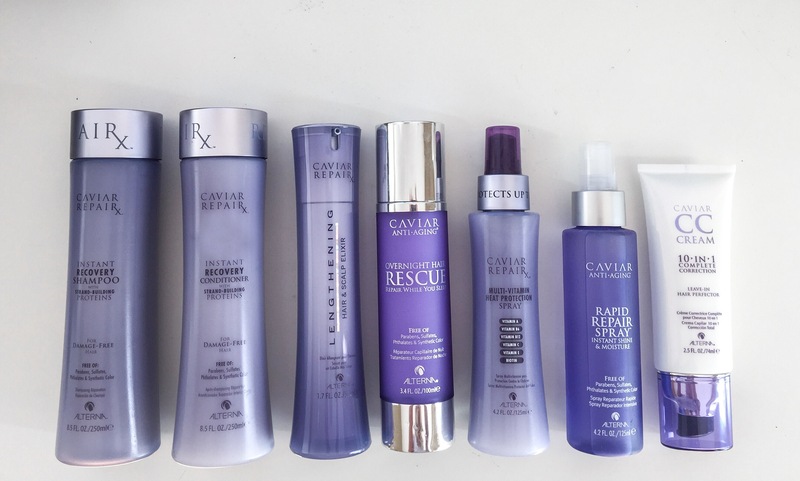 I recently got the privilege of trying out several hair products from Alterna’s Caviar RepairX line. The Instant Recovery Shampoo and Conditioner did wonders for my hair. I’ve been done with the bottle for about a week now and I can feel the difference in softness and strength go back to the way it was before I started using it. I need to get more! My hair loved it and it did help it grow out a little longer while I was using it as well, which was great! I highly recommend investing into the shampoo and conditioner if you’re wanting to repair your hair and prevent breakage. You’ll notice a difference just after the first use. The Lengthening Hair and Scalp Elixir is a product that I just started using. It’s another product that helps with hair growth that you put on damp hair and scalp. 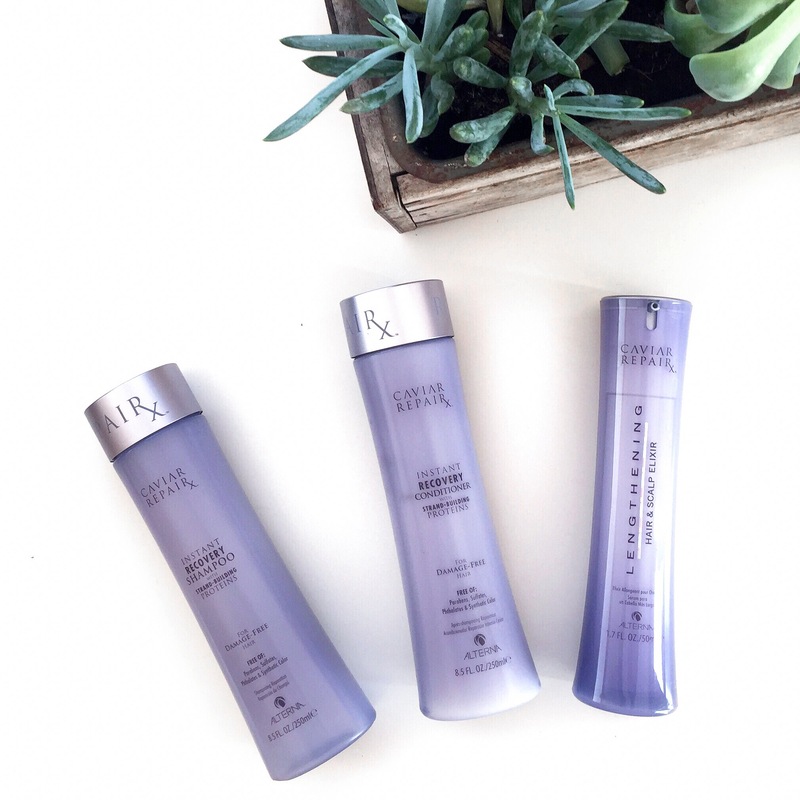 The Overnight Hair Rescue is a cream that you apply to dry hair before bed and then rinse out in the morning. I’ve been actually leaving it in my hair and not rinsing it and I love how soft my hair feels the next day. The Multi-Vitamin Heat Protection Spray is what I’ve been using before any heat styling or blow-drying. It’s a little thicker of a spray that I use on either damp or dry hair. It’s by far the best heat protecting spray that I’ve used, and it smells great too! The Rapid Repair Spray is one of my favorite products. It not only repairs split ends and keeps the hair hydrated, but it also leaves hair really shiny and healthy looking. I’ve also been using it on dry or damp hair. I’m a big fan of spray’s simply because their so quick and easy to use. I have not tried the CC Cream yet, so I’ll post another review once I’ve finished the bottle. Overall, I would say investing into a few of these Caviar products would definitely be worth it if you color treat your hair, are experiencing any breakage or dryness, and especially if your trying to grow out your hair. You will absolutely love the way your hair looks and feels and will notice a difference in the health of your hair. You can find these products at www.alternahaircare.com!